With the season (or my season, anyway) getting under way next week, there is just time for one more frivolous picture quiz before the serious business of match-reporting begins. 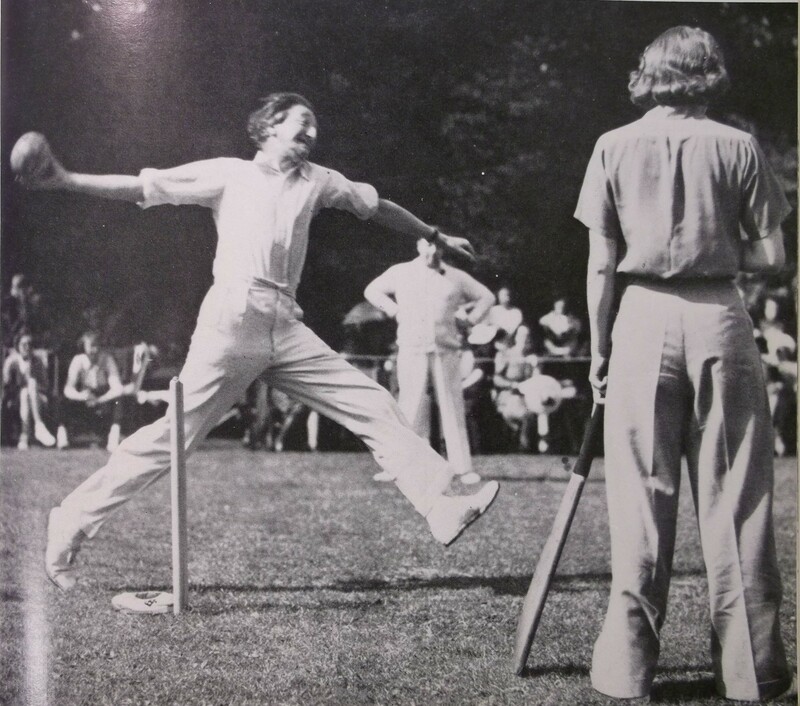 In the interests of diversity and inclusion I have chosen an early example of an inter-gender cricket match from, I’d guess, the late 1930s. But who are the three cricketers depicted? The bowler with the fearsome expression was, for 15 years, a distinguished Member of Parliament before, as he put it, being “abolished” in 1950. He was also the author of, amongst other things, a light opera and numerous short stories which, as older readers may recall, were successfully adapted for television in the late 1960s. Answer: A.P. Herbert, who served as the independent M.P. for Oxford University between 1935 and 1950 (when the seat was abolished). The TV series was “A.P. Herbert’s misleading cases”. The pipe-smoking fieldsman has a pub in Kettering named after one of his best-known works. His surname rhymes with “beastly”. Answer: J.B. Priestley. The pub is “The Good Companions” where I’ve spent many a happy hour (or many an hour, anyway). The non-striker in the well-cut slacks is not, as you might have suspected, Cecil Beaton but an actress who was born in Shimla, India and had roles in ‘The Dam Busters’ and ‘The Life and Death of Colonel Blimp‘. Her surname rhymes with “beans” and is often used to refer to a pair of trousers. Answer: Ursula Jeans. She not only appeared in ‘Colonel Blimp’, incidentally, but married its leading man, Roger Livesey. Answers on a postcard to the usual address etc. Wow! The size of the ball! Think it’s a soft ball, like a small football. Just as well, as lady batsman isn’t wearing any pads (unless she’s got some on under those trousers).